Tooth loss is a common problem for millions of people. Whether caused by tooth decay or injury, missing teeth can damage your oral health and decrease your self-esteem. If you want to regain your smile and confidence, consider a dental implants procedure. Read on to learn more about dental implants in Rockefeller Plaza and decide if they are right for you. Designed to match your existing teeth, dental implants perform like natural teeth, allowing you to chew and speak comfortably. During a dental implants procedure, the dentist uses metal posts to hold the dental implants inside the jawbone. 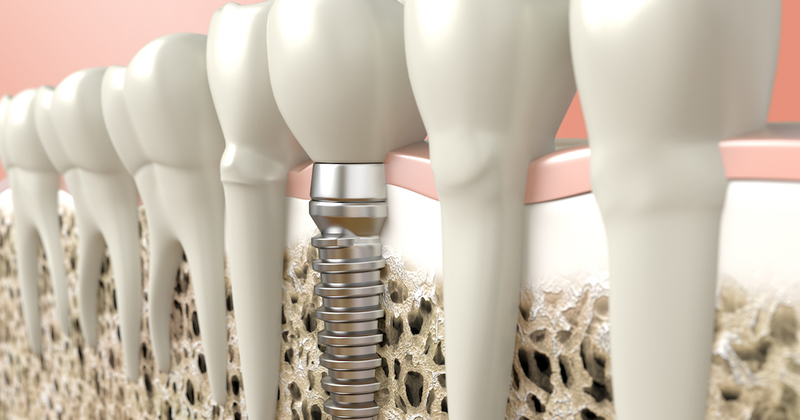 Two types of dental implants are used in dental implants surgery: endosteal and subperiosteal. Endosteal dental implants are placed directly into the jaw, while subperiosteal implants are inserted under the gum and above the jawbone. The total cost of dental implants varies based on the type of dental implants used, required surgical materials, and any further surgeries needed. Oftentimes, dental implants insurance plans do not cover the total cost of a dental implants procedure. At our practice, we believe that quality dental care should be accessible to all. Our flexible financing options allow patients of all budgets to receive affordable dental implants. When you visit our office, one of our team members will review your dental implants cost and help you find the financing plan that is right for you. Generally, dental insurance plans do not cover the cost of a dental implants procedure. Many patients wish to undergo the procedure, but worry about the cost of dental implants with insurance. We understand these concerns and work closely with our patients to find a dental insurance implants solution that works for them. If you’re considering dental implants in Rockefeller Plaza, call us today to learn more about our financing options for those with or without dental implants insurance. If you experience nervousness before dental visits, learning about the dental implant procedure steps can help put your mind at ease. At the beginning of the process of dental implants, the dentist prepares the area for surgery. Then, the implants are placed within the jawbone and secured with abutments. Natural-looking crowns ensure an attractive look that matches your existing teeth. As your mouth heals, the dental implants are securely affixed to your jawbone. Patients who experience dental implant procedure pain may be given local anesthesia or over-the-counter pain medications. Be sure to speak with your dentist if you have any questions about your endosteal or subperiosteal dental implants. Our flexible payment options can help you manage the dental implants cost. Call us now to learn more about our budget-friendly dental implants in Rockefeller Plaza. 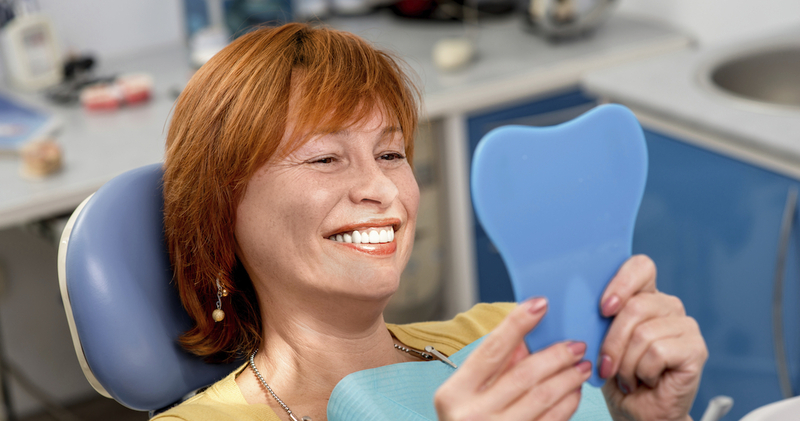 When it comes to caring for dental implants, regular dental checkups are key. Daily care for dental implants includes brushing with regular toothpaste, flossing, and using mouthwash. If you have questions about your dental implant care after surgery, call our office to speak with one of our friendly staff members. Who needs dental implants? Typically, someone who is missing teeth from gum disease, decay, or injury is a good dental implant candidate. Don’t let missing teeth hinder your life – schedule an appointment with our dental implants dentists today. No matter what your budget, there is a financing solution that works for you. Contact us to learn how we can help you improve your oral health and regain your smile. How long does a dental implant last? When maintained properly, dental implants can last for decades. Be sure to schedule regular exams from our office, and brush and floss regularly. These actions are key to determining how long dental implants last. With regular maintenance of your affordable dental implants, you’ll have a brilliant smile for years to come.